In an interview at the Porto Climate Conference earlier this month, Dr. Karl Zeller provided a brief overview of the theory he and Dr. Ned Nikolov developed. The model uses empirical NASA data to quantify the surface temperature of “all the planets across our solar system” precisely and accurately by using two values only: (1) distance from the Sun and (2) atmospheric pressure. 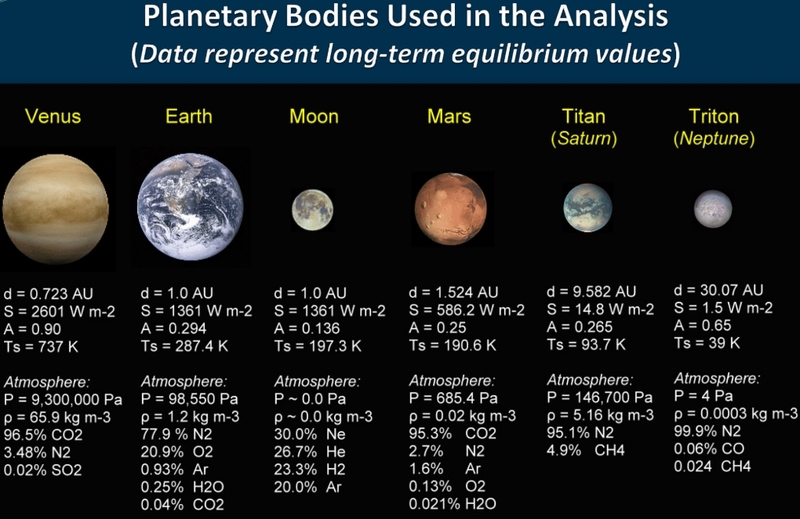 The gaseous composition of planetary atmospheres – including CO2 concentration – is immaterial to the calculations, as CO2 is “just like any other gas”. Interviewer: You were saying that you and [Dr.] Ned Nikolov have a new theory. Can you tell us just a bit about that? Interviewer: So you’re saying that actually carbon dioxide is not the driver [of planetary temperatures]? Interviewer: And how was that [discovery] received? Did you have the IPCC call you up and say “Wow, this is fantastic!”? Interviewer: So in fact you’re saying there’s no opportunity for scientific inquiry anymore. *The term “climate denier” is offensive no matter who it is applied to (i.e., Willis Eschenbach should not be referred to as such), and is not endorsed here. I don’t quite understand how this can be “adiabatic” compression, since heat is heat no matter where it comes from, and the surface heat has to be exchanged with the surroundings. The bright, reflective clouds of Venus are composed of sulfuric acid droplets, and I have thought that the formation of these clouds from the highly exothermic reaction of water and SO3 (coming from the oxidation of SO2) must add considerable heat to the Venusian atmosphere. I realize what the symbols are. I remember reading a series of articles at The Hockeyschtick Blog by MS around 2013/2014 on the gravitional, thermal, kinetic energy, potential energy balance. Higher up MS followed on to some radaiant effects deriving a set of equations for the lapse rates changing direction and the the two pauses. The maths was pretty intense and I didn’t get it all by any stretch. However, his work left little room for any effect of carbon dioxide. I wonder if Ned or Karl know MS? Interesting phenomenology, maybe the authors should have left it at that and not attempted a theoretical explanation, which is likely to get the magic “debunked” tag. The lapse rate depends on the acceleration due to gravity, which does not appear in the theory presented. It’s just the empirical confirmation of the barometric formula. The assumption behind the formula is that the atmosphere is essentially an ideal gas. And it is. All the corrections for chemical compositions, radiative transfer, &c., are… SECOND ORDER. The barometric formula yields, as the authors find, the correct result for various planets with an accuracy of +/- 1 degree Celsius. Corrections due to the chemical composition and radiative transfer are less than 1 degree Celsius, practically unmeasurable. In the case of Earth, the varying albedo due to the varying cloud cover is probably the most important factor after the adiabatic auto-compression discussed in the paper. Surface pressure, which is fundamental to their theory, is a function of gravity, atmospheric mass, and surface area. Why not link it to atmospheric mass? Here are two papers they cite that look they will be very useful. It was HockeySchtick’s analysis linked in a discussion on WUWT which first got thru to me that it was gravity , the other macroscopic force , which filled the chasm between Venus’s bottom of atmosphere temperature and it’s radiative equilibrium I discuss in http://climateconferences.heartland.org/robert-armstrong-iccc9-panel-18/ . In retrospect , it’s ridiculously obvious . A particle moving upward in a gravitational field slows down , ie: cools ; one moving downward speeds up , ie: heats . Given Newton’s gravitational law , all else can be calculated from that . * The term “climate denier” is offensive no matter who it is applied to (i.e., Willis Eschenbach should not be referred to as such), and is not endorsed here. It is disappointing (and a little surprising) that Dr. Zeller does not use less divisive terminology to refer to those who are skeptical that human CO2 emissions are the driving force in climate change. This just goes to show how far out of the “mainstream” – or independent – he is. Dr. Nikolov routinely criticizes Dr. Roy Spencer on his twitter page for his (Spencer’s) acceptance and defense of the currently popular conceptualization of the CO2 greenhouse effect. Spencer only disagrees with the alarmingly high rates of warming CO2 concentrations are presumed to cause, as he has published papers with much lower (~1 K) ECS values than the IPCC endorses. The skeptic community as a whole would be well served to come together and remain open to opposing points of view regarding planetary heating rather than sniping at one another or characterizing alternative theoretical frameworks as “nonsense”. 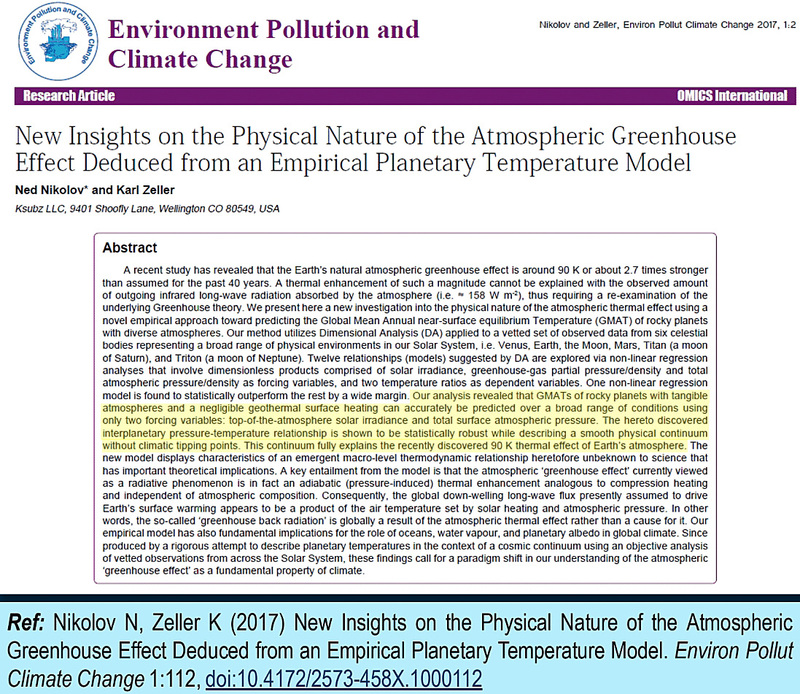 For clarification, the N&Z conceptualization is not a “climate change” hypothesis, as it does not claim that the ~1 K temperature change since the 19th century has been caused by TSI or pressure changes. It is a macro conceptualization, meaning it explains Venus, Mars, Earth … overall surface temperatures, or why Venus is __ K warmer than Earth or Mars. I get the impression that Neb used it as a sort of “quote”. More having a jibe at the terminology. Willis have been called that term by many of the “climate”** apologists and collaborators. No-one denies that we have a climate, and that is can be somewhat “changeable”. Its just there is basically NO evidence that human’s have forced any “climate change” at a global level. There is reasonable evidence that humans can affect the local climate to some small degree..
.. and LOTS of evidence that they can affect the calculated/fabricated “global average temperature” by many means. But the actual global climate ???? I’m still waiting for someone to produce any empirical scientific evidence of human CO2 affecting the actual global climate. And ALWAYS the distraction and run-around, avoiding trying to produce any such evidence, no matter which AGW apologist you try to get this evidence from. That is not what the term “climate denier” means. Contrary to what you believe virtually all evidence/observations point to human caused climate change. With you however this doesn’t work. You can’t get around the simple math of humans causing the increase. The second point is also beyond your level of understanding as you repeatedly state that this effect doesn’t play any role (by pushing your gravito-thermal thing). And for the third point you evade the evidence by a desperate attempt to downplay the heat content increase. You just need to open your eyes, master troll … and don’t be so ignorant all the time. P.S. : I would have linked to a SKS article on this topic so you could try and refute the “basic” explanation of the empirical evidence for human caused climate change if you are up to it. You’ll find that one yourself … try to not distract from the topic by attacking the author. Not one bit of actual evidence in your whole load of technicolour yawn type gibberish. Water vapor / clouds are part of the greenhouse effect. They don’t “utterly dwarf” the not at all alleged forcing effect of CO2 and other GHGs we emit into the atmosphere. Therefore, using the same logic you apply here, it is cloud radiative forcing that has caused the heat content increase, not the alleged forcing effect from CO2 concentration changes. Please stop using quotes that only include half of the equation. It just shows you don’t really care about understanding the energy budgets involved. You mean basically ZERO, IMMEASURABLE warming effects? I know your maths comprehension is basically empty, but of course cloud changes dwarf something that is IMMEASURABLE. And no, you DO NOT have observational evidence for CO2 warming. … and you most definitely have zero clue about energy budgets.. anywhere !!! A radiative warming effect from CO2 has never been measured or observed ANYWHERE. The real physics is actually against such an effect. At a VERY SMALL RATE.. 0.08C warming of the oceans in 60 or so years. including a Grand Solar Maximum after the COLDEST period in 10,000 years. WRONG YET AGAIN, you have ZERO EVIDENCE of anything to do with human caused warming. Well, peer reviewed science says a lot of things even things that aren’t real. If you really believed in the power of peer reviewed science you would have accepted all the papers AGW proponents have offered you as the one and only truth … but you haven’t, so the label “peer reviewed science” means nothing to you and I don’t get why you guys keep using it. Anyway, it’s not 15% and that figure is not even close. At a VERY SMALL RATE.. 0.08C warming of the oceans in 60 or so years. That “small” rate is matching what is to be expected from the radiative imbalance. Au contraire, it takes such a mind to make up what the reality you are living in, troll. You have ZERO EVIDENCE of anything to do with human caused warming. If 0.08C in 60 from SOLAR energy scares you, you have serious mental issues. !! Is seb now DENYING that there has only been 0.08C warming of the oceans in 60 or so years ????? DENYING the grand solar maximum??? There is no radiative imbalance.. only thing imbalanced is your mind. ZERO EPIRICAL EVIDENCE of atmospheric CO2 warming anything, anywhere, anytime. You would have produced it ages ago if there was, but instead you just keep up the mindless cackling evasion. SebH, without peer reviewed science we would have to leave the field to guys like you, or zealots or religious leaders without factual knowledge and only prescribed believes. With peer reviewed science we still have a constructive level of control. Mind you we still will get the odd tomato, but we will not stop planting them. Your responses getting weirder by the minute! spike55, get a life, educate yourself, ask friends to talk some reason into you and get civil in conversation and then we can debate. Until then it is just me feeding a troll. I don’t think you understand what I am writing. Why do you get the impression that I want to do away with peer review? I am arguing that since you guys don’t believe in peer review (as in not accepting anything that contradicts your belief, virtually everything the field of climate science puts out), it is weird that you guys use that label to give something more weight. It’s you who replies weirdly. If that is a language barrier thing I apologize, but it seems to on purpose for the last few replies from you. Just headless-chook attempts at distraction. What is your purpose here seb.. apart from juvenile attempts at attention-seeking and trolling ? Kenneth Richard is phenomenally civil to the troll, and what has it gotten him? The pest just continues with his insults, evasion, distraction and dishonesty. No difference if they are nice. He treats everyone with contempt, so it’s obvious that being nice to him doesn’t help at all. It’s just another fantasy from his virtual unreality. I would say Kenneth is civil … and incredible stubborn concerning facts and (not) understanding the mechanisms he is arguing against. If pointing that out is insulting and calling someone a “demented headless chook” is not, well … no wonder you guys have no idea how stuff works. Being nice would make no difference in the kind of replies you’ll get, but at least it would get more people to attempt to explain it to you guys and not be detered by the way you guys communicate. You get contempt (or no replies at all) when you ignore how stuff works, invent your own (impossible) mechanisms and claim ridiculous things. You get more comtempt when you repeat that behaviour over and over without showing any signs that you are at least trying to educate yourself. The age of unreason, at least in your small bubble. Show that you are willing to learn. Show that you are willing to consider that you’ve been wrong all the time. Show that you understand what scientists have found out. That will help and change how people not agreeing with you will talk to you guys. Well, apart from calling us “deniers,” and saying we don’t understand “the science” that you refuse to explain so we know what exactly you are talking about, and some others that would make this post way too long, most of it is INDIRECT. As to the latter, you don’t think that misrepresenting what people say is insulting? You don’t think using the misleading and evasive techniques of activists, including out and out lies, is insulting? REALLY? If so, there is no hope for you. You have worked hard for the disrespect you get here, and you deserve every bit of it. And absolutely FULL-ON this time WOW. !! A manic attempt at trolling from start to finish. You have NEVER shown even the slightest willingness or intention to learn ANYTHING. You never once, DESPITE your complete inability to produce any evidence would ever consider that you are IN FACT, absolutely WRONG on most things. You show ZERO INTENTION of ever trying to educate yourself passed the junior high level you seem to be stuck at. You must have been in a whole room of mirrors when you wrote that load of juvenile gibberish and self-aggrandising prattle..
.. and yet you STILL don’t see yourself. !! .. have the GUTS to at least attempt to answer simple questions. And yes, the gravity-thermal GHE has been known for a long time. Its scientifically correct, just not politically correct. CO2 GHE… unproven, not observable, never measured. Providing evidence of CO2 warming, if you were able to do it, might. And please stop pretending that you understand any real physics. There is no gravity thermal effect as you imagine it on planets like Earth. The temperature gradient is an effect that starts from the surface upwards and not a cause. Educate yourself, nobody can help you if you ignore everything that doesn’t fit your view of the world. DESPERATE distraction from providing evidence of CO2 warming..
No, your ignorance of physics is no way a pretence, it is the ONLY thing real about you. Obviously very much a minor. You are good at trolling and that’s it … well done! “The temperature gradient is an effect that starts from the surface upwards….”. Seb, it has been pointed out to you before that this statement is incorrect. In ventilation shafts in mines the lapse rate due to auto-compression continues below the surface. This warming effect is we’ll recognised in the mining industry. Seb, it has been pointed out to you before that this statement is incorrect. In ventilation shafts in mines the lapse rate due to auto-compression continues below the surface. No, it doesn’t. As should be evident by observed mostly static temperatures in mine shafts wether it is freezing at the surface or 30°C on a hot summer day. The gradient observed there is not a continuation of the lapse rate. This warming effect is we’ll recognised in the mining industry. “This result [equation 8.9] is usually rounded off and quoted as a dry bulb temperature adiabatic lapse rate of 1 °C per 100 m depth. The increase in temperature is a result of potential energy being converted to internal energy as the air falls through the shaft. The effect is also referred to as autocompression. Any normal person would be so embarrassed by making such an idiotic mistake, so easy to look up, that he would slink away in shame. What am I bet the the troll doubles down on his nonsense and tries to tell us the mining expert is wrong? With pleasure. I am guessing you think that ventilation of a mine shaft and what happens to air on its way downwards is the natural temperature gradient in a mine shaft. Did I guess correctly? May I ask you to take an educated guess why it is warm at the bottom of a deep mine shaft and why ventilation is used to cool it down? May I further ask you why the temperature in a ventilated shaft very much depends on the airflow (e.g. speed of air)? Do you really think it is warm at the bottom of a deep mine shaft because of gravity compressing the air down there? Do you really think it doesn’t play a large part?? WOW !! You pinged it. 😉 Very predictable, he is. One can ALWAYS trust that seb will double down on his nonsense, then double-down again, then double-down again..
With his displays of ignorance increasing at an exponential rate. WRONG AGAIN, seb.. due to your complete lack of understanding of physics. The pressure DOES NOT start at the surface, it is created by the gravity force of gasses above it. The pressure gradient allows for the formation of the temperature gradient. I wonder how the Earth and its atmosphere would be without any GHG’s. The atmosphere can only be heated or cooled by conduction with ground and convection, and the Earth can only loose heat by direct radiation into space. Could a heavy inversion develop that stops most circulation? I followed also the series in The Hockeyschtick, but found it a bit esoteric and interresting. The surface would radiate away all incoming radiation at the same magnitude directly to space. It would be much much cooler. The atmosphere above would roughly match the surface temperature by conduction. There would probably not be a tropopause. Without the possibility to cool at the top of the atmosphere, it would probably become mostly isotherm with exception of the near surface layers. Convection and conduction would still rule, as they do in our lower atmosphere. Again, noted that you rely on hypothetical unprovables rather than any REAL LIFE observations. Seb thinks other molecules don’t radiate..
WOW. ! SO DUMB. !! You have ZERO idea how this hypo-pathetical nonsense of yours would work. GET BACK TO REALITY.. for once in your mindless existence. !! Do I need to remind you of the conditions that Svend Ferdinandsen set? Do you ever read and try to understand what you are replying to? But let’s go with it. How would it work, spike55? Give us a glimpse into your mind! I’ll leave you to deal with UNREAL, UNPROVABLE hypotheses. They are YOUR life choice. !! Between glacial and interglacial, temperatures differed by much more than 1K but the parameters they considered have not changed. Crazy thought: their discovery works because gravity allows for exactly the existing atmospheres to exist at the amount of solar radiation reaching the planet or moon at the observed temperatures. Or in other words: they figured out how the ideal gas law works and now think the resulting pressure is the cause instead of the effect. Or: they think identical bicycle tires will end up at different temperatures when filled with varying amount of air. It should be clear to every thinking mind, that this is impossible. they figured out how the ideal gas law works and now think the resulting pressure is the cause instead of the effect. So if the pressure is the effect, you’re saying that the gases in the planets’ atmosphere cause the pressure? I am saying that the atmospheres we observe now are the result of a billion year process. If it gets hot enough on Earth one would think that evaporation (not only of water) would cause an atmosphere that is denser than today. If it gets much colder gases/vapor will freeze out and the atmosphere will become thinner. If the Sun would disappear even the nitrogen in the atmosphere would fall down as snow and cover the surface. SebH no clear in what he says. He mix up density and mass. He wrong understanding of physical terms? Evaporation no cause denser air. It cause more mass maybe but not denser air. Water vapour supposed to be less dense than air. John agree, with no sun, atmosphere thin, gases condensed. Have you looked that up in the Humidity section of the Density of air Wikipedia article? SebH can assure with link? John thinks there big wrong in what SebH say. What is dry air molecule? How come pressure and temperature suppose not change? He not make sense what says SebH. But your grasp of physics has proven to be a tenuous as a Lunar atmosphere. You don’t even seem to have the faintest grasp of kinetic energy within gases. Quite BIZARRE for someone to be so ignorant. Poor seb, DESPERATE to remain WILFULLY and DELIBERATELY IGNORANT. He knows that a little bit of knowledge would destroy what’s left of his mindless fairy-tale beliefs. You should use that heading on all your posts..
.. although, just your name is sufficient now. What you seem to be saying, seb.. is that gravity, and the solar energy received, set the atmosphere and thus the basic surface temperature. There is not one thing setting the other. It all plays together and the pressure is the result because the temperature is set by incoming solar radiation and the gases the atmospheres exist of. If you warm a container of air and observe the pressure increasing you wouldn’t attribute the temperature increase to the increasing pressure, wouldn’t you? Has made up his own interpretation of the concepts involved and is mightily confused by his limited grasp of physics. It has been shown that the actual gases constituent in the atmosphere make very little difference, CO2 actually increasing the lapse rate by a tiny amount, thus COOLING. “they think identical bicycle tires will end up at different temperatures when filled with varying amount of air. Do you know where that energy comes from, little mind ? What forces the air in a tyre to remain under pressure? Nope. Do you think the tire is drawing energy from its surroundings to hold air inside? And yes, objects at rest obviously have no forces acting on them that need to be countered by something that consumes energy. The one-time compression when you sit down on an object/chair is not an ongoing thing that warms up the chair a certain amount forever. What happens if you pump that tyre up too far, seb? Why do they make high pressure vessels out of thick steel, seb. Do you agree that compressed air in a tank exerts a force of the inside of the vessel? What force resists that force, seb ? When you sit on a chair, there is ALWAYS a mass x gravity force acting on the chair, right seb? So there MUST be a counter force, right? Where does that force come from ? magic???? Why aren’t all chairs made out of balsa wood, seb? If you were suspended stationary 20m above the ground on a rope, would you want that rope to be thick rope or a piece of thin string? After all, according to you, you are not exerting any force on the rope, so it wouldn’t matter what sort of rope was holding you up there, right ? SebH still need understand difference Force and Energy. Objects at rest have still force acting on them. One of them is Gravity. He want dismiss gravity or not? He use wrong terminology. Never one will listen to him. A book at the top of a table doesn’t move (simply speaking), therefore there aren’t any forces performing work. Nobody needs to spend energy to keep the book from falling down. Keeping the book at that position with a small drone and the table not existing requires energy. Any highschool student should be able to understand the difference, spike55 apparently doesn’t. What counteracts the gravity force, seb? Tell me you don’t need to use energy when holding a 200kg mass stationary above your head. Tell us that holding a 60lb longbow fully drawn doesn’t require energy. We can all have another massive laugh. And your drone analogy shows just how incredibly ignorant you really are on the subject. Both the table and the drone require exactly the SAME FORCE to hold the book against gravity. I doubt you have the mental capacity to even slightly comprehend the basic physics of that FACT. SebH now bringing in work. A book on table has at least to forces acting on it. Gravity and reaction force. In equilibrium there is not exchange of energy, but this no mean no energy involved. Energy measured in Newton (unit of force) times distance. This also work performed. Energy cannot be created or consumed as SebH suggests. He still using wrong layman terminology. Let’s take that first one of your examples. Can you tell the difference between me holding a mass of arbitrary weight 2 m above ground level and keeping that mass 2 m above ground by putting it on a 2m high table? Can you? Do you think someone is “holding up” the atmosphere and therefore need to spend energy to keep it that way? You are getting closer … now go one step further, does the table spend energy to keep that book at the stationary position? Or in other words, does it matter how long that book is resting on the table? Poor seb, STILL denying basic laws of physics. Do you actually DENY that the same force is needed to hold the book up, be it by desk or drone or person. WOW. !!!!! seb’s FANTASY FIZZICS, yet again. How come you have a TOTAL LACK OF ANY COMPREHENSION of structures or materials ???? And seb uses his headless-chook routine distraction to avoid answering, yet again. Come on seb.. make us LAUGH even more. Please just answer the question. The same force is needed, but what is the difference between those two situations? Can you answer that or are they both the same to you? Does it make a difference for the table to hold that weight for an hour or many days? Says the one who distracted himself out of answering once again … I am getting tired of this nonsense with you, troll. The answer is yes, without energy input the atmosphere would “collapse” or rather liquefy. The different molecules in the air (and there is not wet or dry molecules) all have a mass, this mass is affected by gravity. Gas molecules are lose items, they are held up by their own movement and kinetic energy and by collisions with other molecules. Still they act like the weight over your head and if your muscles fail or if the kinetic energy drops below the required value (matter of vector velocities) the molecule will move towards the center of the Earth. Since energy is not created or used up energy will transform. A mass moving towards the gravitational center will lose potential energy but will gain kinetic energy. This might be visible as an increase in temperature. This is also the reason why the atmosphere acts like an energy storage and also the reason why gravity is thought to be a setting point of the temperature. As a matter of fact gravity is the determining factor for the lapse rate as a falling molecule will increase its kinetic energy accordingly to the gravitational acceleration, which btw is not a constant. SebH you are coming here with laymans terms, serious misinterpretations of simple physics, you are being presented with a mass of scientific literature, studies and peer reviewed work and yet you think laymans talk and understanding can counter a scientific work or brings you in the position to even judge right or wrong of the work being presented? You need to step away from your pride, or whatever it is, and have a look how idiotic it must look from the outside. For me it looks like a caveman saying he can explain an electronics board without ever having to solder something or knowing what a solder is. If you want to be taken serious you should stop replying to Spike. Half of what you say to him might not even be what you wanted to say, but yet you regurgitate countless nonphysical interpretations similar to “consuming energy” “Wet air molecule” “there is not force acting on a resting item” and so forth. Again learn the difference between Force and Energy and PLEASE check the boundary conditions if you ever come up with a physical example. Air in particular is ill compared with a book resting on a table or you sitting on a chair. Wrong discussion that is! Different conditions. I have yet to see any indication that he knows what “boundary conditions” are, or why they are important. Maybe he’s just good at keeping a secret, but more likely he just doesn’t know. Since we’re talking about climate here, mostly, if SebH wants to learn a few of the basics, he could start with this fellow’s intro to a few fundamental facts about the atmosphere. His other physics videos are kind of fun, too, if only just to see how he organizes and presents the material. “Do you actually DENY that the same force is needed to hold the book up, be it by desk or drone or person. He can see he has painted himself into a corner, so is cackling like crazy trying to distract from the FACT that no matter what holds that book up against the gravity induced force, that force MUST be the same. Still hasn’t figure that the book requires a force acting against gravity no matter where it is. Still DENIES that it takes energy to hold a 200kg weight stationary above his head. Put that 200kg weight on a table, THE SAME FORCE MUST BE APPLIED to hold that 200kg against gravity. Where does that force come from, seb-troll ???? What if that table is made of balsa wood, seb-troll ? This is hilarious watching seb-troll arrogantly strutting around like the headless chook he is. Totally mindless and totally incapable of learning or even wanting to learn. Easy peasy.. right seb.. you nil-educated goose !! Both require a force to counter the gravity induced weight-force.. just like air in, say, the bottom 10m of the atmosphere, must exert an upward force to counter the weight-force of the air above it. The table on which the book, or the 200kg weight, is placed, MUST exert an equal and opposite force to the weight-force of the item. Where does the table get that force from? What happens if the table is unable to exert an exact counter to the weight-force ? Same when someone sits in a chair, stationary.. The chair MUST exert an equal but opposite force to your weight-force. Where does the chair get that force from? What happens if the chair is unable to counter the weight-force of your body? Notice that he didn’t “press” it. He “lifted” it by a series of swift moves to maneuver it to where his locked limbs could hold it up, although even then for only a few seconds. No way he could do that with muscles alone. Aside, one’s legs are generally a lot stronger than ones arms. OK, now about the video I linked to with Professor Julius Sumner Miller. I very much encourage SebH to watch it and pay particular attention to just how much force the atmosphere is exerting on it’s surroundings (15 lb per square inch), and the effects it can have on them, as he illustrates by evacuating a series of objects. Seb’s head needs to be careful !! Lucky there is plenty of hot air and green sludge inside it. Take a plastic bottle, fill it with hot water, empty it, and screw the lid on tight. Wow, John Brown can write like a normal person. I would not have thought that from our previous interactions. The answer is yes, without energy input the atmosphere would “collapse” or rather liquefy. That is rather different from what spike55 is claiming though. He thinks the ground needs energy (or force, he seems to use that interchangeably) to hold up the atmosphere above. And the next layer of air must hold up the air above it and so on. He asserts this requires energy for the act of holding something up (similar to the book/table thing), not to keep it from liquefying. This might be a language barrier thing, but I doubt it after many conversations with spike55. He truely thinks – at least that is how I understand it – that putting a book on a table causes the table to warm and stay at that higher temperature level because it requires energy to hold that book up. He uses a similar theme when it comes to El Ninos causing all the warming. Like an ocean-to-atmosphere release could permanently warm the atmosphere. Since energy is not created or used up energy will transform. A mass moving towards the gravitational center will lose potential energy but will gain kinetic energy. This might be visible as an increase in temperature. That is how it works, but Earth is not a closes system. Any temperature increase resulting from mass moving closer to the center also increases the longwave radiation towards space. And like a bicycle tire the initial warmth is eventually lost. Since Earth’s atmosphere is not experiencing an ongoing compression, this is not what warms the lower atmosphere / surface above what can be expected from an atmosphere-less planet Earth. If you want to be taken serious you should stop replying to Spike. I probably should stop replying to him for other reasons, but not to stop “looking idiotic”. Well, except if it makes me “look idiotic” to reply to a troll like him. True, English is not my primary language. Oh come on, this term is regularly used by everyone. Please express your feelings towards this term next time Kenneth comes up with an article telling us that primary “energy consumption” is still increasing faster than renewables. “there is not force acting on a resting item” and so forth. Indeed … you’ve gone full troll again and evaded everything I asked you. I am told it would be idiotic to reply to you, but I can’t resist. If you just would answer the question of whether or not it requires more energy for a table to hold up something against gravity for 2 hours than for 1 hour. That would be nice. I very much encourage SebH to watch it and pay particular attention to just how much force the atmosphere is exerting on it’s surroundings (15 lb per square inch), and the effects it can have on them, as he illustrates by evacuating a series of objects. Do you honestly think that the force of the atmosphere pushing on things causes a temperature increase above what can be expected from the incoming radiation from the Sun? Do you think this behaves like an inflated bicycle tire where the warmth from compressing the air can’t escape to anywhere? The amount and constituents of the atmosphere, it’s energy content, and the gravitational field of the planet are what primarily determine air pressure and temperature for a given height above the earth. If energy isn’t added or lost, then a temperature gradient will be present as a consequence of the pressure gradient that is always there. And, yes, the further you go down in a mine, the greater the pressure, so there will be an increase in temperature resulting from the increase in pressure as you descend into the mine. There will most likely be other factors involved, but if you want to properly calculate all of them, you cannot ignore the effect of pressure on temperature. And remember, there is no sunlight in a mine. NOTE – if large quantities of heat were being transferred from earth to atmosphere or vice versa, there couldn’t be any adiabatic lapse rate. But there is. That is one piece of evidence against the greenhouse theory, IMO. ROFLMAO, you REALLY have just shown you haven’t got the vaguest CLUE. requires exactly the same force whether its on the table or attached to a drone. Are you that incredibly DUMB !!! The Earth’s atmosphere is ALWAYS undergoing continued compression. Its called GRAVITY, you mindless twerp.. !! That force is ALWAYS THERE, and it has to be ALWAYS countered with an equal and opposite force. Do you DENY that the air in the tyre is always exerting a force that keeps the tyre inflated? Do you DENY that the book, or a 200lb weight ALWAYS exerts a gravity force. This is the basis of ALL PHYSICS, all structural analysis…seb.. Your understanding of basic physics comes from a way out BIZZARO FANTASY WORLD.!! Really ??? a book, or 200lb sitting on a table doesn’t exert a force on the table.. REALLY???? And thus must have an equal and opposite acting against it. !! We REALLY are getting an in-depth view into you complete and abject IGNORANCE of the REALITY of the world around you, and your complete and utter lack of comprehension of any sort of physics whatsoever. !!! Come on seb.. get passed your egotistical arrogance, and give a straight yes or no answer to each of the above. No carrying-on like a headless chook. Simple questions.. simple answers. YES or NO. a temperature gradient will be present as a consequence of the pressure gradient that is always there. This isn’t about the existence of a temperature gradient. Also there can be no gradient if there is no convection working against the gases being warmed below and cooling at the top. How is that a reply to my question? Or are you trying to say that the temperature is set somewhere at the top of the atmosphere and however deep/high the surface is below, that’s the temperature the surface will end up with? And, yes, the further you go down in a mine, the greater the pressure, so there will be an increase in temperature resulting from the increase in pressure as you descend into the mine. The temperature gradient in rock is much higher than that of air. The temperature of air is set by the surrounding rock. Convection does it’s thing to work against the air being warmed at the bottom, thus you get the usual lapse rate. I advice you to think about this gem of your imagination (“IMO”) and go to the physics department of your local university/college and ask them how stuff works. Spike55, I have the feeling you are not really reading what people write. Please do that and then think about what you just replied here … it can’t be the language barrier … and as John Brown said, don’t confuse forces with energy and/or heat. 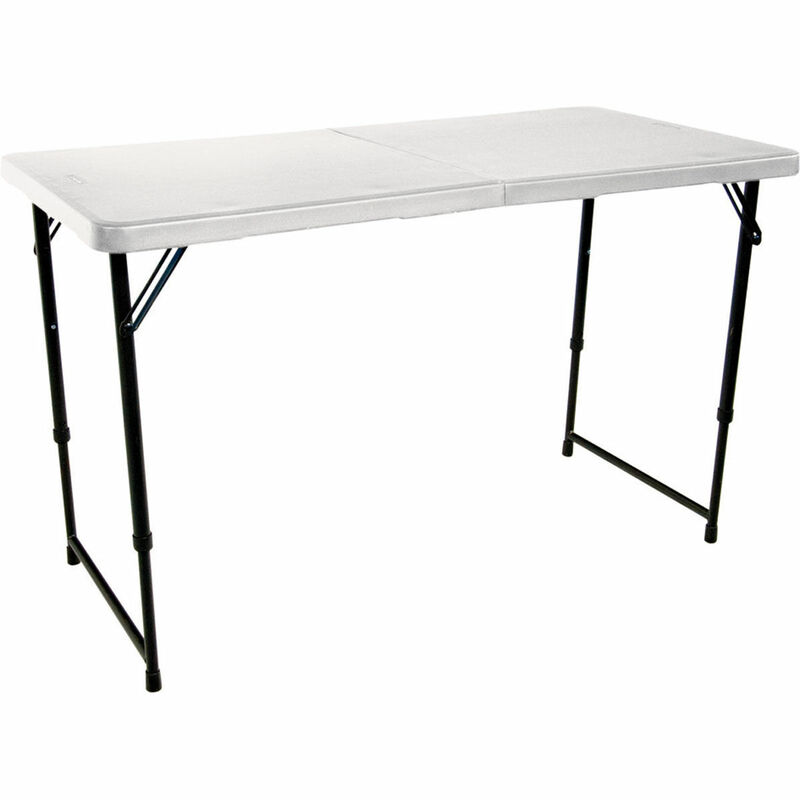 Does it requires more energy for a table to hold up something against gravity for 2 hours than for 1 hour? So, now answer my question please? No evation, no insults, no ranting? Can you do that? You have just proved that you really do live in a total and complete FANTASY land, and that your knowledge of physics is basically nil, or actually on the far negative side of reality. ! Are you really that incapable of comprehending anything that is going on around you ?? I admit, even I am stunned at your idiocy. Didn’t you see that clip of the weightlifter trying to hold the weights.. the energy he had to use to apply the force to hold them against gravity even for a few seconds.. Do you think he could have held it forever.. ??? no energy being used.. WOW !!!. Is REALITY really that far away from your mind?? I take it you have never used a longbow. If you had, you could not possibly give a NO answer. The force you have to apply just to hold it is considerable. Do you really DENY that you have to apply a large force through your fingers to hold the bow. Your answers really are on the far far side of BIZARRE !!! Totally detached from REALITY !! Totally detached from all known physics. No wonder everyone is LAUGHING at you.. you are CRAZY !!! You got the third one correct.. was that an accident ????? Then go and say there is a difference in the force applied by the book on the table as for being held by the drone. No seb, there is absolutely no difference between the force require for the book to stay on the table as for being held by a drone..
To even think so is the height of absolute DENIAL of basic physics. And seb, there is a force acting downwards from atmospheric mass, therefore, at any point there must be a force acting upwards to counter that mass. Do you DENY this fact? Is your understanding of physics REALLY that empty? Applying a force uses energy, do you DENY this fact? If there was no energy involved in gravitational forces, hydro-electricity would not work. Aircraft could fly without engines. You really are devoid of all comprehension of ANYTHING, aren’t you seb. !!! Which one of your particularly ignorant questions do you want answered.? The one where you DENY the laws of physics by DENYING that a body at rest must have andequal and opposite forces acting on it..
.. and since the book or 200lb weight has the force of gravity acting on it whether it is held above your head or stilling o a table, there must be an equal and opposite reaction force in no matter where the book or 200lb weight is? The where you DENY that when the book or 200lb weight is sitting on the table, the table MUST be exerting an equal and opposite force to counteract the gravity force of the item ? That DENIAL of physics question? You got the first two question I asked TOTALLY WRONG last time. SO FUNNY !! Dig deeper and deep, little seb-troll.. the only direction you know how. ! Clear as mud, as usual from SebH. Here’s an excellent presentation by someone who knows what he’s talking about. The air warmed at the surface rises, and that rising is by definition “convection”, since it is air movement. As the air parcel rises, it’s pressure decreases, as does it’s temperature. Convection is not a competing process. It is merely the definition of the movement of the air parcel. It would also apply to a parcel at high altitude that was more dense than the surrounding air, and was descending. Just a definition. That’s all. Of course, if there were a wind that disturbed the air parcel, that would also be convection, but not the one referring to it’s adiabatic rise or descent. That would interfere, but that’s not what we’re talking about here. What is clear is that SebH has no clue what he’s writing about, or, if he does, he’s completely incapable of articulating it. Maybe the language barrier? …maybe not. • The proposed net positive feedback between surface temperature and the atmospheric infrared opacity controlled by water vapor appears to be a model artifact resulting from a mathematical decoupling of the radiative-convective heat transfer rather than a physical reality. Even if they were right, no reasonable person could be unequivocal after merely trawling around for an equation that just happened to fit the points – after they cherry picked the points to make them fit. They didn’t disprove that the conventional theory is wrong – indeed they haven’t even checked what the conventional theory would give when applied to the planets. So they are incapable of saying anything about the conventional theory as they don’t know what the conventional theory would give. – all they proved is that they could get a random equation to fit that happened to have as one of the adjustments: pressure. The conventional “conjecture”, gives whatever the AGW priests want it to give. It is so badly and non-scientifically defined as to be totally meaningless. Many people think CO2 affects the atmospheric temperature profile, and climate models presume it, but effects from CO2 have yet to be detected in observations. For example, weather balloon records should show it, but they do not. It’s nice to see that someone else has discovered what I’ve been saying for two decades. I hope they get the credit they deserve. They get being laughed at by everyone for years now … and rightfully so. Poor seb-troll.. giggling like a little girl again..
at least not *sigh*ing this time, that really was pathetic. Gravity thermal effect is measured, observed, calculated, validated. NONE of these things apply to the CO2 warming fallacy. No measurements, no observations, no calculations that have any reality, and certainly NO validation through evidence. Its a JOKE and you know it. Heck you can’t even a provide a rational, coherent scientific explanation or provide one tiny bit of empirical proof. You can’t even say how CO2 has affected the global climate in the last 40 years except by un-backed anti-science conjecture and ranting. We are waiting.. still. !! And please, something more than just chanting baseless AGW mantra. Everyone is well and truly over that load of garbage. I know that you are a joke, does that count? The mantra chanting guy here is definetely not me, master troll. Poor seb, he knows he can’t produce one bit of evidence for atmospheric CO2 warming anything. His headless chook distraction technique is tried and true. YEP, it sure has, every day. NOPE, NONE.. produce that evidence if you think you have any. I replied to your question multiple times now. ROFLMAO… Now you are flat out LYING !!! You have NEVER replied to my questions except with meaningless yapping unsupported by any science, or any empirical evidence. Show us where you have replied with real evidence.. or stop being DISHONEST. But answer with actual EVIDENCE not mindless cackling. In your case, its science “ninny”. !! Where are these links to empirical evidence of what “scientists” found ? This is simply proof that planet atmospheres behave as ideal gasses. It is quite clear that the mass of the atmosphere is not a constant nor is its specific heat. Both factors will alter the surface temperature in accordance with the ideal gas law. Most people understand that if ocean surface temperature increases then the atmospheric water vapour increases. Clearly that increases the atmospheric mass slightly and, more importantly, the specific heat of the atmosphere increases. According to the ideal gas law both factors are consistent with increased surface temperature. The atmospheric mass and thermal properties are not constant. The fact that the atmosphere behaves as an ideal gas leads to an interesting conclusion. In order for the surface temperature to rise there needs to be a change in atmospheric mass and/or specific heat. An increase in mass would be discernible as an increase in surface pressure. An increase in specific heat would need a change in the composition of the atmosphere. Neither of these factors have been observed. In fact the mass of water vapour in the atmosphere has declined so far this century. The climate models demonstrate a steadily increasing mass of atmospheric water vapour as required to satisfy the ideal gas law. The actual data does not show any increase over the last 18 years. The fact that the atmosphere behaves as an ideal gas leads to an interesting conclusion. In order for the surface temperature to rise there needs to be a change in atmospheric mass and/or specific heat. What? You just need a big source of energy and start heating the gas. No need to change the mass of specific heat. It’s an ideal gas, remember? Ahh… you mean the SUN. ! Why is it that the only time you are correct it is by ACCIDENT, seb-troll?. Then you ruin it by not knowing much anything about specific heat. Chemistry was a minor minor was it, in junior high ? Why is it that you misunderstand everything on purpose in an attempt to get a response from your opponents. Are you so desperately grasping for attention that you need to resort to that strategy? The sun is the ONLY big source of energy. Apart from gravity and the sun, what other big source of energy did you have in mind ??? Why is it you are incapable of making a coherent comment?? and then you make another feeble puerile attempt at putting your attention-seeking onto others. What is your purpose here, seb. .. because apart from wasting everybody’s time and space, you have been a massive FAILURE. .. and your troll-hole has continued to get a lot deeper as you dig further and further into your mental abyss. Have you even read what I was replying to above? For the rest of your reply, I give you a big longish *siiiiiigh* … troll. Do you really think this is working? Well, you are getting my attention. Does that make you feel better? Sun, gravity.. come on.. ANSWER THE QUESTION. I’m not so sure about this one, the “barometric formula” has a logical derivation starting from a Boltzmann statistical distribution, this does not. “Dimensional analysis” might point to some underlying physical relation (or at least suggest some important dimensionless parameters), but there is no reason that it has to. Seb of course has no clue about these things. He has no understanding of measurements and the errors of measurement. Empirical questions can be valid over a range of measurements. Dimensional analysis can give a valid relation between variables and be useful for design over the range of measurement. Why Cementa being rude? No reason calling Brian clearly no engineer? Maybe he is engineer! Here problem is that using statistic is problem, same problem as compare weather with climate. If can explain lowest and highest temperature on one earth loacation, then better knowledge about thermodynamics than if try explain average for all surface. If can predict weather very good more sense than try predict climate. John ask, if determining factor for temperature is pressure, how comes temperature cold in Arctic? Same pressure? Almost same? Determining factor still is sun! Even Seb knows! Energy input determines temperature, cloud cover determines energy input. Many variables. Cold air more dense, would be higher pressure? If no energy input, air getting more and more dense. when too cold freezes or get liquid. Only energy input keeps it gaseous. CO2 active radiation, will receive energy from heat radiation directly. This alows CO2 mixing in atmosphere. same water vapour. This is why find C02 higher up in atmosphere still, it is more heavy so everyone thinks it should be only bottom. But it mixing due to radiation. They have been refuted so many times now, we stopped counting. Their law of thermodynamics arguments is nonsense and whatever they say about the greenhouse effect is nonsense as well. Seb of course has no clue about these things. Right … as opposed to you? Dimensional analysis can give a valid relation between variables and be useful for design over the range of measurement. So when you see the equation e=mc² the Nikolov/Zeller way of doing such an analysis is to conclude that the speed of light is determined by mass and energy? Or – taking F=ma – that mass is determined by force and acceleration. Sebastian, their “thermodynamic” arguments have been misunderstood but refuted by no one. 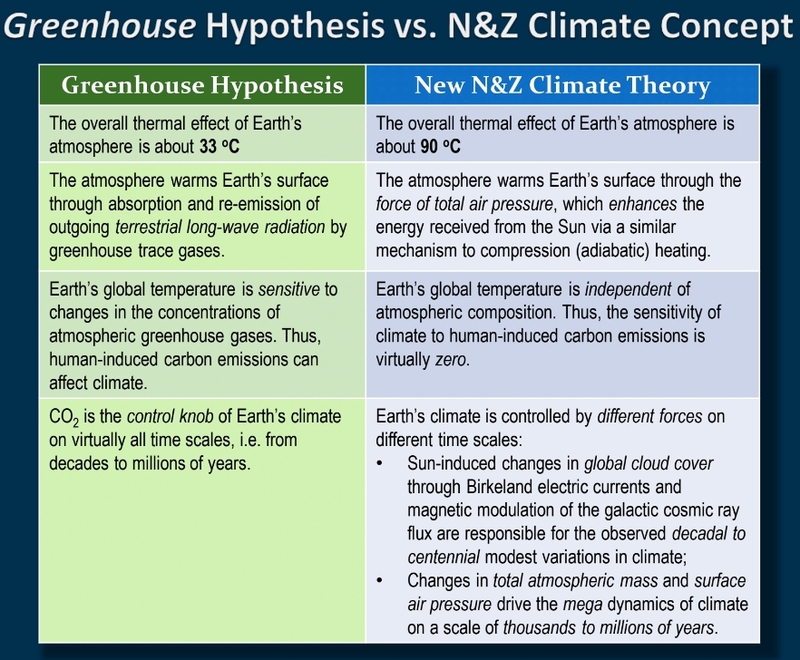 Here is a s simplified version of their thermodynamic argument: According to the Greenhouse idea, the upper atmosphere must cool, and the lower atmosphere warm, in response to this effect. There is no way to distinguish this from heat moving from a cold reservoir to a warm reservoir without expending work, in violation to a well known principle of thermodynamics. How could anyone refute that pressure and temperature are connected? It’s about the interpretation that this means temperature is the result of the pressure and energy input in this case … that’s been refuted! Just no! There is no violation, there is no heat flowing from cold to warm. Why do pseudoskeptics always imagine that this is what the greenhouse effect is supposed to do? Nothing of that sort is happening! Is that how you imagine the greenhouse effect to be working? Put a 100 W light bulb into empty space. It will radiate away 100 W into the void and depending on its size have a certain surface temperature. Surround it by a sphere and you’ll observe the sphere will warm up until it radiates away 100 W towards the void, too. The surface of the light buld will also need to warm as that sphere is also radiating towards the light bulb requiring a higher output to stay at radiating a net 100 W towards the sphere. The cooler sphere is not heating the warmer light bulb and thus violating the laws of thermodynamics. It’s basic physics though and if you don’t understand this concept or argue that the greenhouse effect would violate the laws of thermodynamics then frankly, you are a disinformer. It’s about the interpretation that this means temperature is the result of the pressure and energy input in this case … that’s been refuted! No, temperature is not caused by or the result of pressure. Instead, temperature gradients for planetary atmospheres are modified by the density of the atmosphere, the pressure differences. This sounds like a Willis E argument. measurable, observed, on EVERY planet. CO2 warming.. nothing, nada, a NON-entity. And yet another mindless irrelevant FAILED analogy. GET BACK TO REALITY !!! is it even possible for you do that ?????? 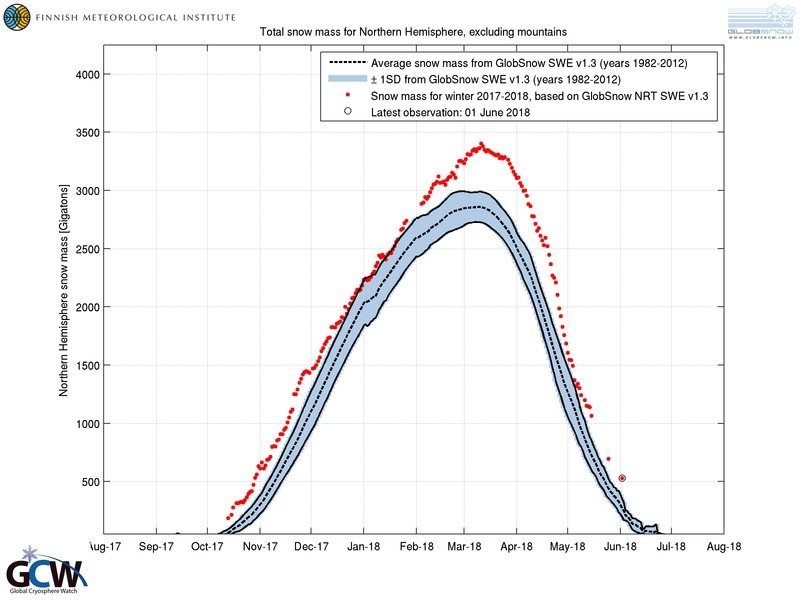 They use the same curve fitting technique, cherry picking of data and bogus inference as the alarmists use between “temperature” and CO2. Nope, there is actually a physical mechanism involved “between temperature and CO2”. And they (N&Z) are not really using curve fitting, they simply show that the pressure at the surface of an atmosphere is what you’d expect from the average temperature and gravity for various planetary bodies. They wrongly conclude that it’s the pressure that sets the temperature though … just as you can’t vary the mass of an object by applying different forces while keeping the acceleration constant. There is absolutely no empirical evidence of that. Just for clarification, what mechanism exactly are you disputing here? You surely know how the rest of us “fantasizes” this to be working, right? Care to give us a glimpse into the level of your understanding? What “mechanism ” are you putting forward.?? You have been unable to put forward a scientifically viable in the whole time you have wasted here. We have been waiting a LONG. LONG time..
cue another mindless evasion/distraction from seb. And no, I have no idea what your anti-science FANTASY “mechanisms” might be. Bizarre, warped and other-worldly, and not based remotely on reality or any empirical evidence..
.. that is FOR SURE. You have shown that evidence is NOT something you are capable of producing. Funny, isn’t it, spike, how the troll wants you to explain the mechanism that doesn’t exist, while he perpetually persists in refusing to explain what he thinks it is. Slippery little worm, ain’t he! Funny, isn’t it, spike, how the troll wants you to explain the mechanism that doesn’t exist, while he perpetually persists in refusing to explain what he thinks it is. Why should I explain to you how the mechanisms work, when everything is readily available? I want to know if you understand these mechanisms that you guys are arguing against. You must have some idea, otherwise how could you even begin to argue against it? So entertain that thought and show us how educated you are! Seb’s TDS to the fore.. Oh dear, serious mental issues. We are STILL waiting for a rational , provable scientific explanation of your FANTASY mechanism. You seem TOTALLY INCAPABLE of supplying one. Then you are obviously LACK an educated mind.. just brain-hosed sludge. The only entertaining you are capable of is the slap-stick hilarity of your constant headless chook evasions and distractions from answering two simple questions…. As usual, they argue, that air pressure, gravity, and the star effect tempreture on the Earth. Such heracy. Almost sounds as if they found a 50’s textbook on science. Such unproven facts. Oh, then how does this extrapolate to wind, and weather patterns? Oops, corolis forces. Durn. How does this refer to the star, durn, variable star again. Unproven the UN says it’s value is a constant, never varies. But other stars do, ours is special, it’s face never changes. Oh yeah the tire experiment, after pumping up the tire, check the tempreture, then wait a while, check the tire again for pressure and tempreture. I’ll bet it changed thru heat loss. And varying the amount of air in does something also. So I wouldn’t ride the bike just yet. Wow. Who would have thunk it. The pressure of a gas may actually indicate the gas temperature! I will have to dust off my 40 year old “refrigerant slide rule” now that the technology is back in vogue and the physics have been “discovered”. It is a rediscovery of old knowledge rather than a discovery of anything new. The reason why pressure is the key feature is that pressure determines the space between molecules and thus the ease with which conduction from surface to atmospheric mass can occur. More pressure leads to more conduction and thus a higher mass induced greenhouse effect. Imbalances introduced by radiative gases are neutralised by changes in conduction and convection. 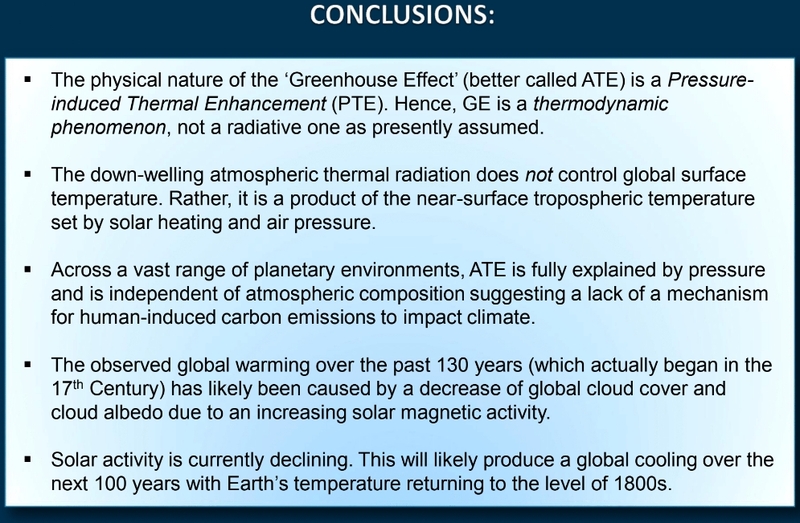 I believe they consider the 90 K “natural greenhouse effect” temperature (vs. 33 K) as determined in their 2014 paper to be new, and thus the pressure data fit this value for Earth. That’s what’s “new”. OMG … You are serious, aren’t you? As you are obviously TOTALLY INCAPABLE of understanding basic physics, perhaps you ought to stop your mindless trolling. Every word in that quoted statement is demonstrably TRUE. Conduction and convection govern the energy transfer in the lower atmosphere. Radiative absorption by radiative gases H2O, CO2 etc etc, last for a tiny fraction of second before they are thermalised to the rest of the atmosphere, and dealt with by that conduction and convection. Those radiative gases are just another conduit for energy transfer. And as shown by actual experiments, the radiative transfer of energy by CO2 is more rapid than by normal air. There is ZERO opportunity for warming by atmospheric CO2, which is why it has NEVER been observed or measured, and why you are INCAPABLE of producing such empirical data. Because it DOES NOT and CAN NOT EXIST. Many people think CO2 affects the atmospheric temperature profile, and climate models presume it, but effects from CO2 have yet to be detected in observations. For example, weather balloon records should show it, but they do not. This fact is an independent confirmation of the mass atmospheric thermal effect. Its not politically correct, and absolutely DESTROYS the AGW agenda/scam. .. actual science CANNOT be allowed to intrude. I haven’t bothered to read the N&Z hypothesis in depth at all since I am too busy debating warmist subhuman clods like you elsewhere. The abject ignorance and stupidity is especially vivid at a Political forum where they have an active ENVIRONMENT forum to debate in, amazingly they are nearly ALL leftists who are warmists there. A few more after that where their counter replies are dead on arrival, then suddenly do what YOU do here, post dead stuff that becomes so ridiculous that people start laughing. They do that in thread after thread, then suddenly vanish when they realize they ran out of bullcrap to post anymore. Since I Know you to be a trolling proven resister of science reality, I can’t take YOU seriously anymore, because you are simply too stupid to notice that many are laughing at your obvious lies, fallacies, make up things and obvious lack of critical thinking. You lack awareness over the fact that many times, you get wiped out in debates, but unaware that it happened to you because YOU lack the needed critical thinking skills to notice it. Therefore don’t take my silence over what you write here as an endorsement that I agree with it, that is not what is going on, it is because you are too far gone to ever recover from terminal irrational thinking to bother responding to your laughable drivel anymore. I see that Spike and Kenneth are still vigorously responding to your drivel and putting up with your terminally dishonest replies, but eventually they will tire of your trolling and ban you. I haven’t bothered to read the N&Z hypothesis in depth at all since I am too busy debating warmist subhuman clods like you elsewhere. You are really full of yourself, aren’t you? The links don’t highlight any comment there so I assume you’ve got deleted for the vile behaviour of yours. They do that in thread after thread, then suddenly vanish when they realize they ran out of bullcrap to post anymore. I can’t take YOU seriously anymore, because you are simply too stupid to notice that many are laughing at your obvious lies, fallacies, make up things and obvious lack of critical thinking. Nobody takes you seriously except your pseudoskeptic peers. I suppose people in that bubble can also laugh about stuff that others can’t. Get out of that bubble! I wonder how you survive in the real world. Do you have friends? Are you telling them about your weird opinion about how the world works? How are they reacting? Or is this an anonymous online only thing of yours? comment #’s are: his 114, mine 117, someone else 118, mine 120 and more the last page. then expanded with a long completely civil comment using Dr. Fords own words from the letter, he suddenly vanish, no more replies to me. The rest of your replies are silly since YOU say you can’t see the comments, another assumption of yours goes wrong, plus the assumption that I am not taken seriously when I have one of the HIGHEST ratings on the board as a junior member, another assumption of yours going down in flames. You made FIVE assumptions without a shred of evidence to build on, then you end your comment with more evidence of your irrational thinking since you have NO evidence to draw from. I really wonder if YOU are that deficient in critical thinking, since most of your comment was based on NOTHING but assumption. this from YOU who calls people DENIERS many times over many months, who have been caught red handed twisting quotes and more. You often have no class at all, but get approved over and over anyway, your complaint is hollow. This is my last reply to you here as this conversation is sliding well off topic. And the temperature on Venus varies with the pressure value: On the surface where the pressure value is only 45 bar it’s 655 K, whereas it’s 735 K where the pressure value is 92 bar. The pressure is a determinant of temperature. The CO2 concentration cannot explain this temperature difference on Venus. Why wouldn’t it? A lapse rate also exists on Venus. The pressure is a determinant of temperature. The CO2 concentration cannot explain this temperature difference on Venus. You clearly don’t understand what you are talking about. Please educate yourself by asking someone from the physics department at your local university/college. More seb fantasy fizzics.. totally unsupported by any science or any evidence whatsoever. Where do you come up with this GARBAGE, seb?? Sorry your brain-hosing and lack of basic education doesn’t allow you to accept that FACT, seb-troll. You have shown over and over again that your science and physics education is distinctly LACKING. What are you even ranting about here, spike55? Are you now replying just so you have written something unrelated below anything I write and can place your insults in that reply? No, I was replying to draw attention ( that’s what you want isn’t it, attention?).. .. to the absolute idiocy and anti-science nature of your comment. Stop making idiotic fantasy-based zero-science statements. Save yourself the utter humiliation as more and more of your ignorance is exposed. The only one exposing himself here mr. attention seeker is you … and it doesn’t look good. About ten years ago I read a piece about adiabatic compression having a lot to do with the warmth at the Earth;s surface. It made sense to me. Having known about the temperature lapse rate of a about 3 F per 1,000 feet of elevation when ascending. That’s from when I joined the Varsity Outdoor Club in 1960. From time to time, I’ve seen it used to explain the high numbers recorded in Death Valley at some 300 feet below sea level. Recently saw a documentary on when the Straights of Gibralter closed preventing the flow from the Atlantic. Evaporation dropped the Mediterranean sea level to the floor at some 5,000 feet below sea level. The article included that with the lapse rate, temps would have got up to something like 170 F.
I have read NZ17 and found it entirely unconvincing. Radiative greenhouse theory is entirely capable of determining surface temperatures of all the rocky planets, without recourse to dimensional analysis to conclude that temperature has a pressure dependence ( duh…it’s called the ideal gas law). As the word “ideal” suggests its for idealized conditions. Are you suggesting the atmospheric conditions are ideal or not ideal? Which conditions have a non-ideal impact on the gas law? The radiative greenhouse theory is just that, a theory. Its also idealized, as it ignores to the full extend any other heat transfer options. As the name says its all about radiation. It therefore misses are the non-ideal conditions. Kids! Whoever goes to university, please learn the difference and connection of Force and Energy. Also please understand what Work is. Make sure your physical models have a reference frame, and when you describe your model name the boundary conditions. Learn what a closed system is, what open system means and name the limits you impose on the system. Also make sure you know the four main states of matter. There is a constant compression and expansion in the Earth atmosphere. Gravity sets the lapse rate. Neither table and book nor a tire describe the atmospheric system near enough to draw a conclusion from it. If not here, where would one use the proper scientific terms? It has been long and it is painful to watch this further. SebH please take your own advise and go to the university of your choice and ask some real good questions. Why leave this to others? SebH not know constructive discussion. He needs include himself in confused or at least unable to properly communicate what he means and more so inline with the accepted basic physics. … gives John nothing to go on. Climatology has certain traditions that it adopted from its parent discipline, meteorology. One of those traditions is that their theoretical aspects are based on conversation and not empiricism. Or, I guess we could say, the connection to empiricism is suggestive and not literal. In empirical sciences the experimental evidence comes first and the narrative follows. In conversational sciences the narrative comes first and its significance is interpreted by “experts.” No empiricism necessarily follows. And any empiricism that is externally applied is summarily dismissed if it disagrees with the “expert” opinion. In short, with conversational sciences like meteorology and climatology, truth is determined by consensus and authority. The public is naïve, gullible, and generally unaware that climatological conclusions, like global warming, are based on conversation and not empiricism. Exposing climatology as empirically inept won’t solve the problem since the conversational tradition is rooted in meteorology and not climatology. Roy Spencer refuted this some time ago. No, Roy expressed his own opinion. A lot of what he says is based on conjecture. The IR meter at 45 thing for a start is just measuring the temperature of more of the warmer lower atmosphere, basic geometry. It is proof only of the temperature gradient. If pointed horizontally, it would read even higher, because it reads from lower in the thermal gradient. Net radiative heat transfer is always from warmer to cooler. There is no net heat transfer without there being a thermal difference. Gravity based pressure gradient creates that thermal difference. Therefore, radiative heat transfer is a product of the gravity induced thermal gradient, and it does not modify that thermal gradient. The only thing that modifies that thermal gradient is H2O with its latent heat capacity and changes of state. CO2 has essentially zero effect on the thermal gradient (adding CO2 increases the gradient by a tiny amount.. ie cooling) therefore has no possible warming effect on the atmosphere or anything else. A warming effect from atmospheric CO2 has never been observed or measured.